As you may or may not know, my parents visited me recently here in Japan. And, they brought an entire SUITCASE of food just for me! OK, and maybe some for my friends… The funniest thing they managed to get through was goat’s cheese! I couldn’t believe it! 1.How does Japanese immigration allow that? and 2.How did it not go off?! As in become mouldy not beep beep in the sensor. Cheese don’t do that. Anyways, I won’t complain. I have been eating NZ in Japan. Today I had a smoothie bowl made with ViBERi blackcurrants and topped with Pic’s Peanut Butter. I ate it by myself on the grassy patch in the centre of my apartment complex and though highly optimistic, I/it did not lure any boys to the yard. 1 cup freeze-dried or frozen ViBERi blackcurrants. Finish with a large dollop of Pic’s Peanut Butter and whatever else your heart (and stomach) desires. I used fresh banana, chia-seeds, shredded coconut, macadamia nuts, more blackcurrants and raw almonds. 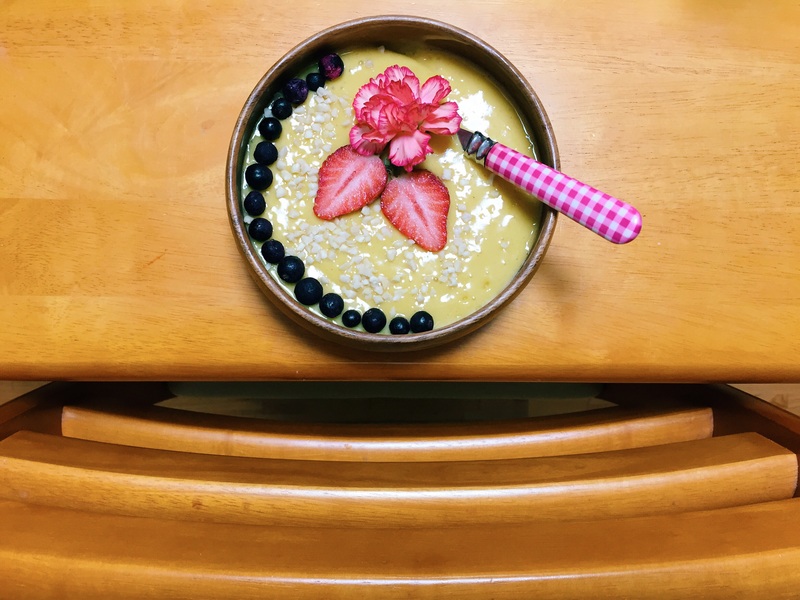 The best smoothie bowl in a long time. I was so blessed to receive an ample supply of ViBERi blackcurrant products (all organic) from my auntie and uncle in NZ, as souvenirs via my brother-in-law and sister and this morning I whizzed some into the best smoothie bowl in a long time. SO MUCH GOODNESS. Simply whizz all ingredients in a food-processor or blender and top with desired toppings. I used organic kiwifruit, homemade granola and more freeze-dried blackcurrants which are crunchy and delicious!